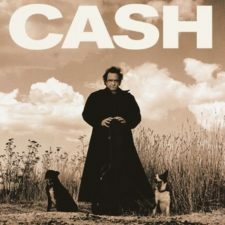 The popular story goes like this: It’s 1994 and Johnny Cash’s career is all but dead. It’s a ghost haunting Billy Graham crusades and the dinner theaters of Branson, Missouri. He spent the 1980s a lost soul, recording bad music (“The Chicken in Black”) and watching the embers of his career fly away into the night. But then Rick Rubin, a bearded and inscrutable mystic, a man known for producing hard rock and hip-hop, brings him back to life in a house overlooking the Sunset Strip in West Hollywood, California with a brilliant idea that no one had ever thought of before—put Johnny Cash in a living room, hand him a guitar, set up a microphone, ask him to play the songs he loves, not for anybody else, just for him. Learn about the results here. Is Hip-Hop Getting More Pro-Gay?